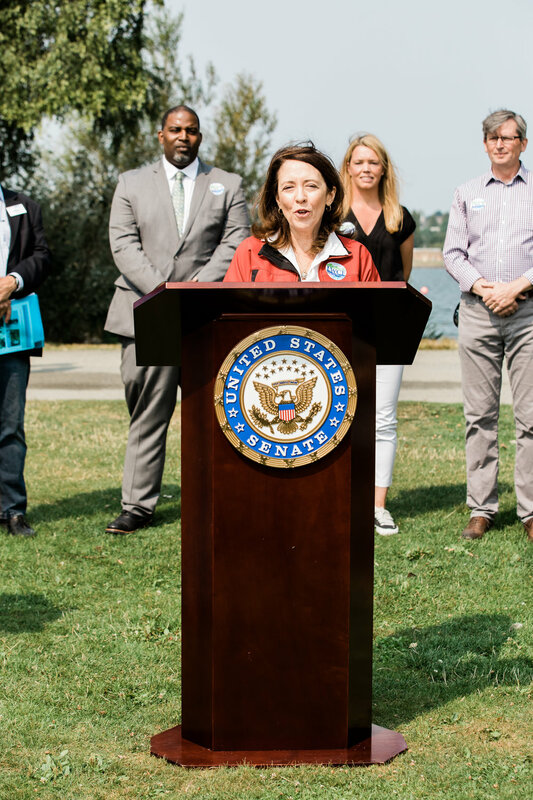 U.S. Sen. Maria Cantwell hosted the event. 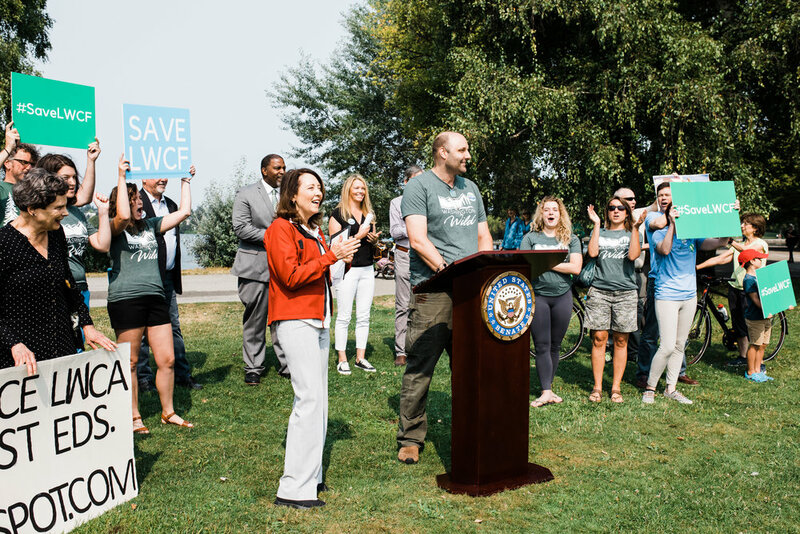 She was joined by speakers sharing their perspectives as business owners, veterans, parents, community leaders and Washingtonians on why LWCF needs to be permanently reauthorized and fully funded before it expires on Sept. 30. 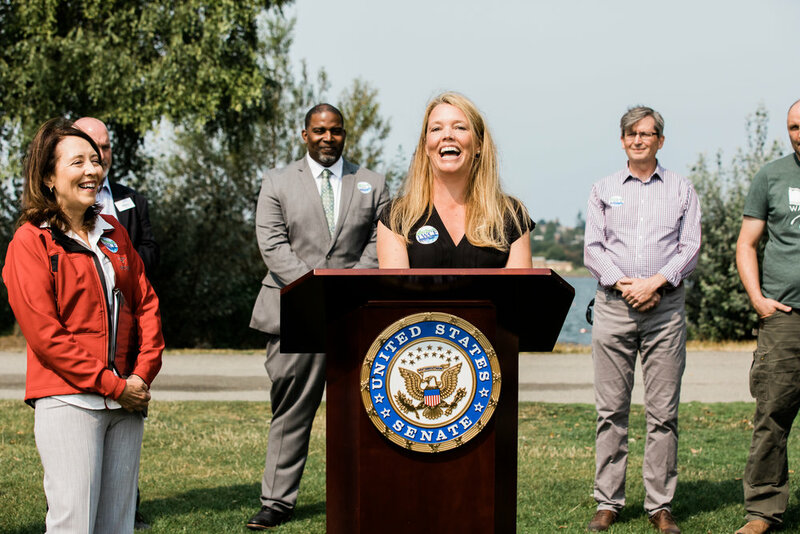 Did you know LWCF preserves historic battlefields and forts so future generations can learn about and appreciate the sacrifices of our veterans? Rick Hegdahl from the Vet Voice Foundation shared the importance of conserving our history through LWCF. Photo by Heather Van Steenburgh. TNC staffers Iris, Jeff, Cathy, Tom, Brittany, Mike and Courtney enjoyed getting outside in one of Seattle’s best-loved parks for the event. Photo by Heather Van Steenburgh. 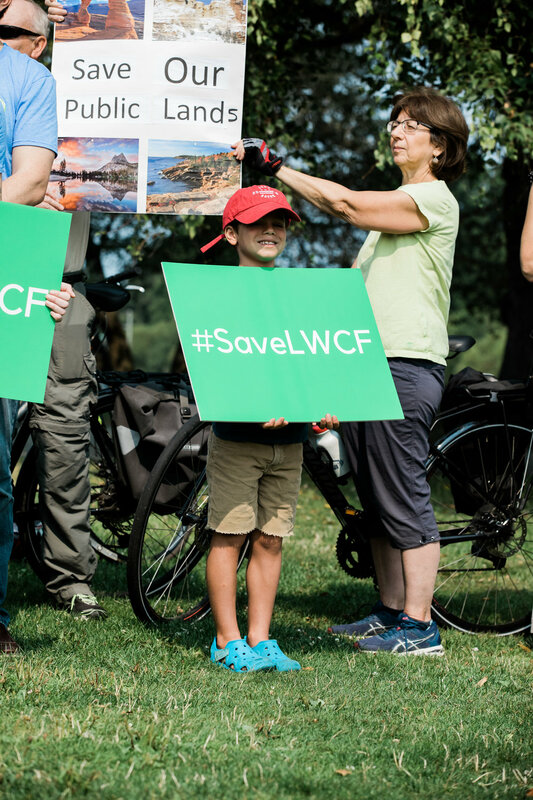 Rick Hegdahl from the Vet Voice Foundation shared the importance of conserving our history through LWCF. Photo by Heather Van Steenburgh. 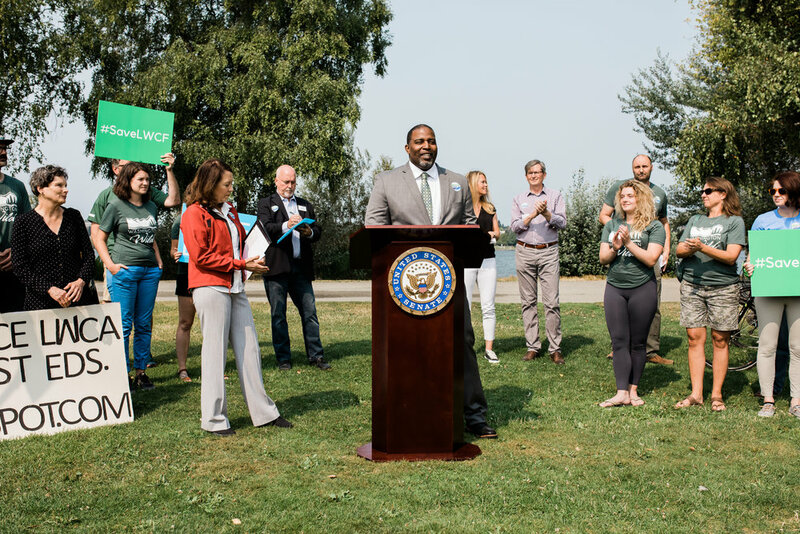 “Having access to outdoor green space is a totally nonpartisan issue. 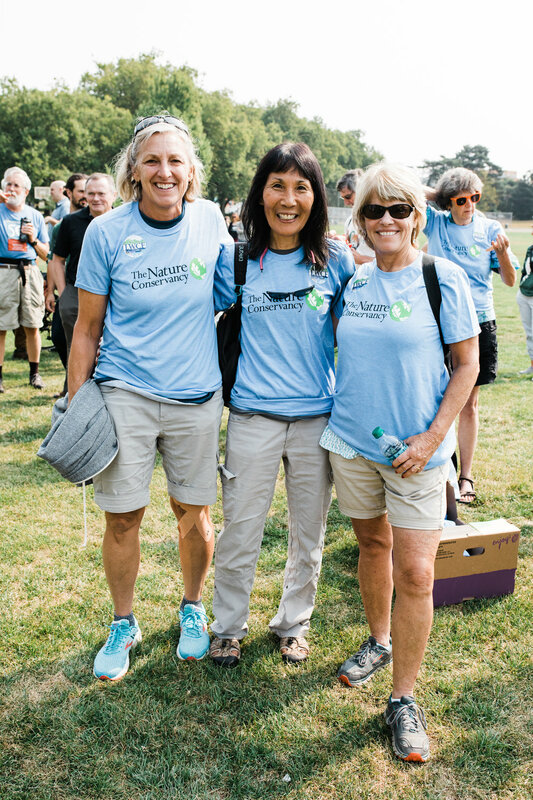 It doesn’t matter if you’re a Republican or a Democrat, a hunter or a backpacker, a climber or a fisherman, we all need the Land and Water Conservation Fund."